Home » Posts » Mid-Week Focus » Share a Harvest of Attention-Getting Thanks! Two of the most attention-getting words in any language of the world – Thank you! In any language of the world, Thank You! are two of the most attention-getting words. Do we use these two words enough and teach children to follow our lead in remembering to use them, too? Maybe not. In the rush of the world today, Thank You can get dropped, just like a mobile phone call. explain that you’ll all soon be enjoying a special harvest from the cornucopia. tell students to think about what they appreciate most and why. plan a Cornucopia of Appreciation Day for students to first list the ideas they’ve brainstormed. plan later writing time when students do expository writing to elaborate about what they appreciate and why. lead a discussion about the importance of feeling thankfulness and showing appreciation. allow time for students to make lists of what they most appreciate and why. announce your pre-planned writing time when students will write about their lists. 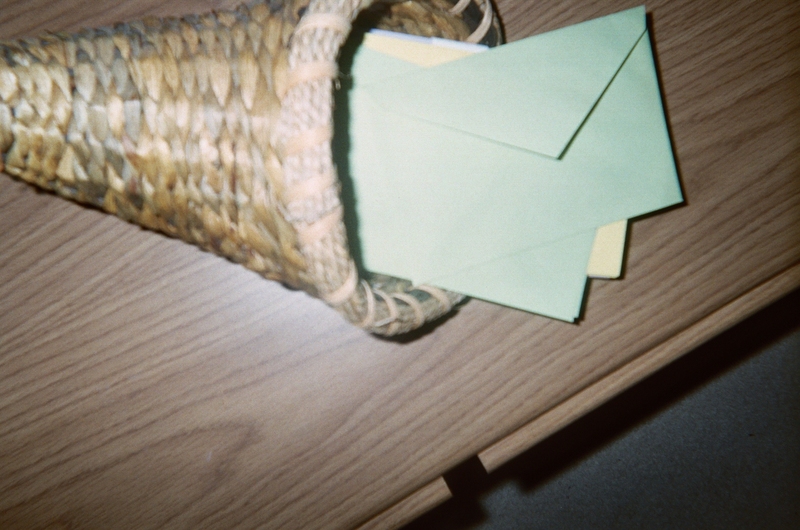 Stretching out your Cornucopia of Appreciation activities is smart. This plan offers students an opportunity to really think about the importance of expressing appreciation so that they gain a deeper and long-lasting understanding of the value of saying Thank You! 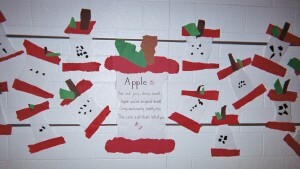 Make a Favorite Activity Apples Bulletin Board that expresses children’s appreciation for good times. 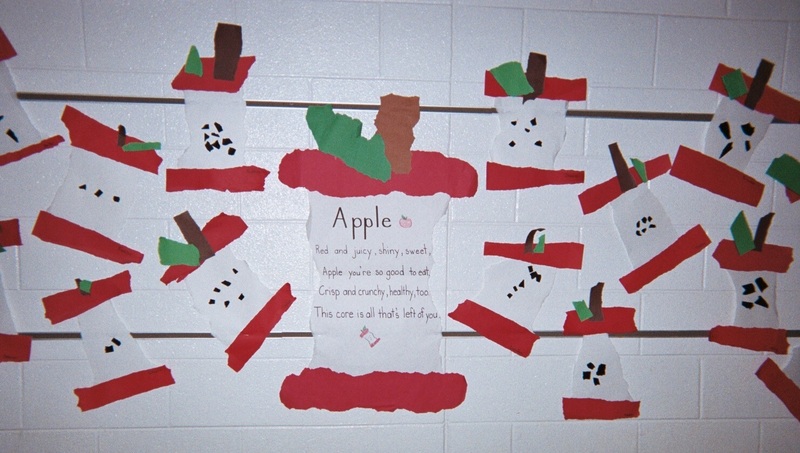 Cover a bulletin board space with white paper so that red apples will “pop” off the board. Buy pre-cut apple shapes from a teacher supply store or cut apple shapes from red construction paper. Optional: Buy a pre-cut barrel shape from a teacher supply store or cut a barrel shape from colored construction paper. Post a bulletin board header that reads Thanks For Our Favorite Activities! Center the barrel shape below the header on the bulletin board. Slip apple shapes into a harvest-time cornucopia or a large plastic bowl. Walk around the classroom and invite students to pick an apple. Allow writing time for kids to jot down their favorite activities, writing on their apples. Encourage the class to think about activities they enjoy in school and at home. Lead a discussion about the importance of showing appreciation to those who help us with activities we love. Touch on the time it takes for favorite activities to help younger children learn the basics of time management. Post students’ apples around the barrel and/or white background of the bulletin board. SIMPLY SPECIAL THANK YOU LETTERS – In our digital world, handwritten notes of appreciation stand out. Helping children share a harvest of attention-getting thanks can be as simple as asking them to write thank you letters to give to special people in school. For example, you can plan letter-writing time (and teach this valuable skill in the process) for students to show appreciation to your school Media Center Specialist. 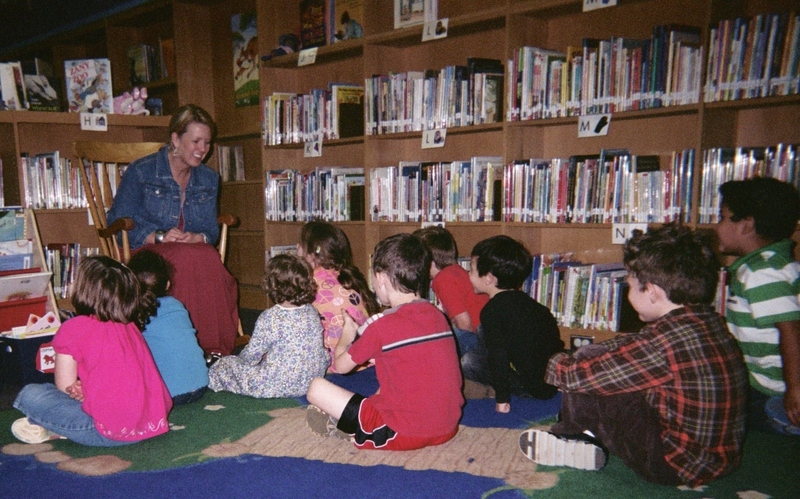 Make this activity a surprise for the school librarian. Her face will light up when your class delivers their thank you letters! Get the class excited about this project. Invite students to illustrate their letters with drawings that relate to their media center visits. 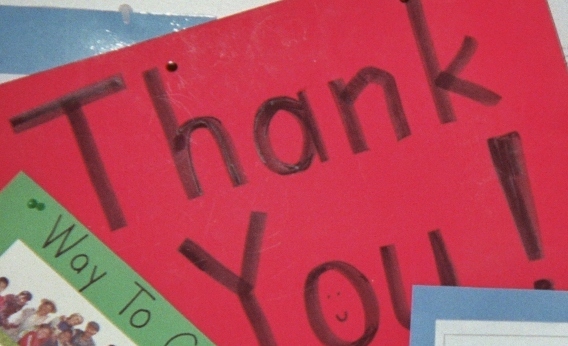 Remind kids that “the more we read, the better we write;” that includes thank you letters. If you believe as I do that children learn what they live, the experiences that teachers offer for students to practice showing appreciation in new and creative ways – not just utter the words thank you in a rote manner – will help children develop an enduring sense of appreciation in their lives. Please send comments about strategies you’ve used to help children express thankfulness. 1 Pings/Trackbacks for "Share a Harvest of Attention-Getting Thanks!"